irm Notables: Jennifer Giles, Esq. 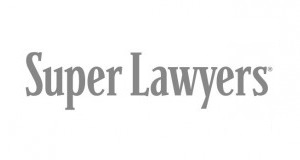 was selected as a Super Lawyer in Georgia for 2016.
ounded in 2002, this small firm specializing in all areas of family law is located in historic downtown Decatur, Georgia. 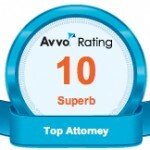 The Firm represents clients in litigation who are as unique and diverse as their legal issues. We pride our practice on the individual attention we are able to give to all our clients. ach case, situation, and person is different and thus deserves individualized attention. We also offer and host mediation and arbitration; giving you a choice as to how to best resolve your family matter. After a different firm dropped the ball with my time-sensitive case, I was uncomfortably frantic in my search for new representation. Jennifer was not only available and present, but she had a sense of urgency on my behalf as well as an appreciation of the nuances of my family law issues involving custody and related matters. I not only recommend her to you. I have recommended her to my friends. Jennifer is a very knowledgeable in her area of law that has been extremely helpful with my difficult case that has spanned many hearings. Her advise and counsel has been exactly what I should do in each situation. I completely trust her which is a great source of comfort in a very difficult time in our family. She has navigated thru many difficult custody issues. I would recommend Jennifer to anyone who finds themselves in a situation that they would need a Divorce Attorney. She is very calm, understanding and has a great sense of humor that can help when the situation is very tense. Family legal issues are, by definition, heavily emotionally charged. A good legal representative in this arena needs to possess both a sensibility about the nature of the conflict as well as the legal prowess to represent her client zealously. Denise is at once an empathetic counselor and a formidable advocate, and she has given me a tremendous sense of confidence and relief in her representation of my family’s interests. I cannot recommend her highly enough. I am actually a family law attorney myself, and turned to Denise when I needed help on a personal relationship matter. She exceeded every expectation. I highly recommend Denise to anyone looking for a lawyer. She made us feel at ease during our entire case. She completely prepared us for our court date. She was always very responsive to our questions and explained things to us thoroughly. She is very knowledgeable in the law and Georgia statutes. Her command of the court room was impressive as she addressed the judge and other lawyers. Our family was going through some real-life high stress situations and to have Ms. VanLanduyt by our side was very comforting. It made the whole process that much easier to go through. Remember when hiring a lawyer, you get what you pay for. Ms. VanLanduyt‘s services are worth every penny. Again, I highly recommend her. Denise goes above and beyond. She and her staff researched other cases very effectively to present my case. She is an advocate for child protection and both my daughter and I feel safer having her on our side. I would highly recommend her! Denise is an excellent attorney and runs a great firm. She worked very hard to ensure my case was properly and thoroughly presented and argued. Her hard work and due diligence won the case for me. I would highly recommend her to others needing legal counsel.